Is state economy beyond point of no return? In September 2008, in his last major speech to the California Legislature, soon-to-be congressman Tom McClintock said the state government had turned the corner, and not in a good way. “So many of the 1% are quietly leaving. The exodus has already begun. Spectrum Location Solutions reported that 254 companies left California in 2011. Despite claims of an upturn, a press release by the State Controller’s office last week revealed tax revenues from both personal income taxes and corporate taxes fell during the month of this November. Revenue from personal income dropped 19 percent below projections while corporate tax revenue was down a whopping 213.4 percent. Such declines will continue unabated for years to come as the California brain drain proceeds. Read Cristiano’s entire lament about what California has become here. From what I read, the progressives aren’t that upset that businesses are leaving for less enlightened states (when they actually acknowledge this is happening). The progressives are more interested in government-managed social progress than haphazard and uneven free market-based economic growth. They emphasize human development of the masses over profit for a few exceptional people. Isn’t that wonderful and democratic? Homosexuality is not a “social idea”. It is a particular sexual orientation that is probably biological. I know such families, and they are not destroyed. The progressives are more interested in government-managed social progress than haphazard and uneven free market-based economic growth. When you have Hollywood Leftists who admire the likes of Castro (loved by Ed Asner) and Hugo Chavez (idolized by Sean Penn) you really have to wonder where their line is as to what California should look like. If these nut jobs really like these dictators so much, are they aiming for CA to look like Cuba or Venezuela??? If so, you need to GET OUT NOW! Nonresidents of California, defined for tax purposes as people who didn’t live in the state during any of the taxable year in question, must file a California tax return if any income comes from a source or sources based in the state, and if total income from all sources during the year was greater than the filing requirement amount for full-time residents of the state. You can’t believe everything you read on the internet, or everything you hear on a plane from Austin. That person must file a tax return as a part-time resident in CA! And, his business that is based in CA owes taxes to the state. I have family and friends living in Texas, and they are happy in Texas. Why not? This is a free country. 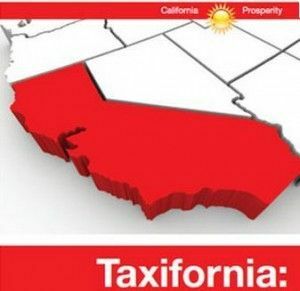 As for me, I will take CA, with its income tax, over Texas any day. You evidently believe all you read in the gossip rags, eh, Johnny? Ed Asner is a good actor and Sean Penn is a terrific actor. Sean Penn has done good works all over the globe. We’ll keep citizens like Ed Asner and Sean Penn. Perhaps you should be the one to move. Revenue from personal income dropped 19 percent below projections while corporate tax revenue was down a whopping 213.4 percent. Such declines will continue unabated for years to come as the California brain drain proceeds. Robert J. Cristiano, in the full article, articulates a logical path to the “great California financial meltdown” I have predicted here before. Those on the left can remain in denial all that they want to, while the state’s future crumbles around them. “The progressives are more interested in government-managed social progress than haphazard and uneven free market-based economic growth. They emphasize human development of the masses over profit for a few exceptional people. Isn’t that wonderful and democratic?” Yep, it sounds utopian, but just who exactly is going to provide the necessary jobs and pay the bills? California WILL eventually “run out of other peoples money”. For all their elightenment the “progressives” have no ability to perform simple math calculations. A family can consist of any number of people who happen to live together and are dependent on each other, Livry. Monckton was never more than a purse-carrier for Thatcher, and he’s now on the staff of WorldNutDaily. I love it when people like Donkey rely on him for authoritative comment. Contra Costa County government scandal: Third World R Us?